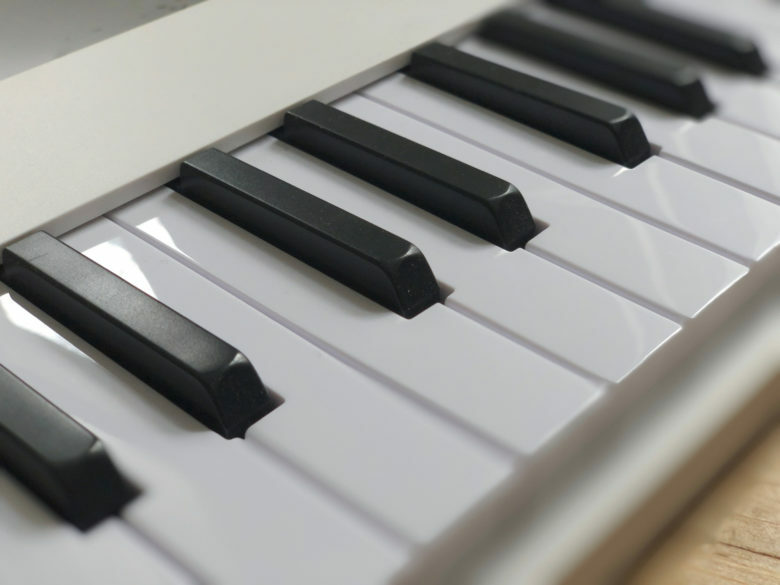 If you’re familiar with piano roll sequencers, you’ll be right at home here. But why bother with a $10 plugin when most DAW (Digital Audio Workstation) apps like GarageBand already have a piano roll built in? 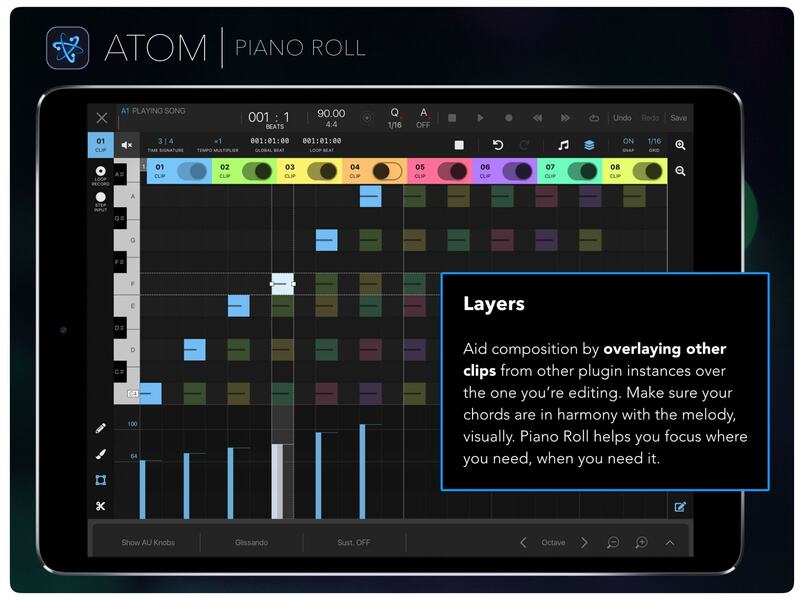 First, because an the AU Atom can add a piano roll to apps that don’t have one, and second, because it’s super well-designed. Atom is a MIDI AU, which means that it doesn’t produce any sound itself. Instead, it sends MIDI messages to instruments (be they apps, or instruments that are built in to the DAW you’re using), and these messages tell the instruments what to play. But because it’s an AU, you can use multiple instances of it, all of them controlling different instruments. Which brings us on to the neat tricks in Atom. Atom’s clever, and extremely useful, overlay mode. The cleverest feature, for me, is that you can overlay these multiple instances, to see the entire picture. Say you have instances of Atom controlling a piano, a bass synth, and some atmospheric keyboard app. You can overlay the piano rolls from all of these, so you can see that the music all lines up. This opens up some neat musical opportunities. It’s easy to split chords among all three instruments, making for some very interesting harmonies. There’s more. Atom works as a looper for MIDI, so you can lay down a few basic notes, and build from there, live, as the loop repeats. You can also quantize these loops to correct your sloppy timing, and stretch them to perfectly fit other music. The most important part, editing, is also well designed, with tools to make creating and tweaking your sequences quick and easy. This helps keep you in the creative flow. In fact, Atom is so nicely put together that it could be considered as an improvisational tool of its own. 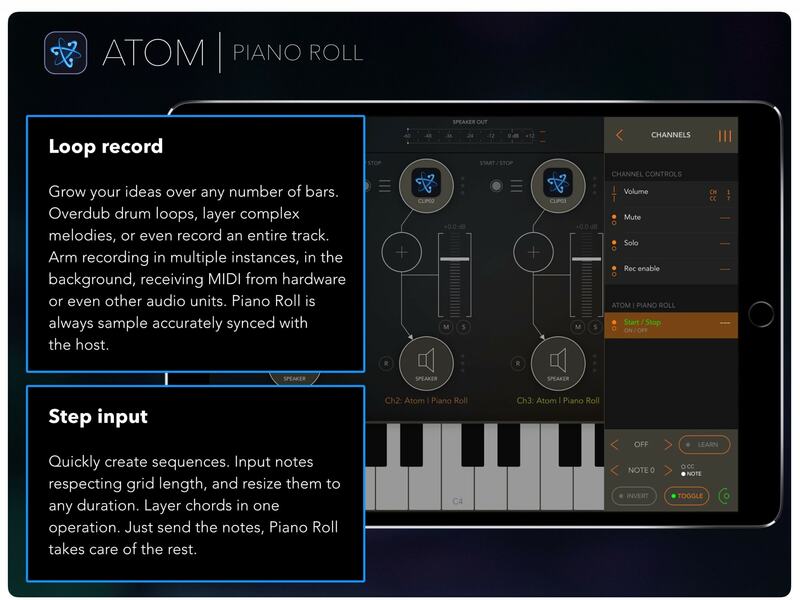 Whether you’re mapping out a painstakingly-composed arrangement, or you’re just jamming on the fly, Atom looks like a great addition to any iOS musician’s toolbox. And it’s just $9.